Jason Collett will be a new rider for Graff when the unbeaten three-year-old makes his new season opener at Rosehill Gardens on Saturday. The Star Witness colt lines up in the $150,000 Group 3 San Domenico Stakes (1100m) against his own age as he treads a $1m Group 1 Golden Rose Stakes path. Kris Lees confirmed Collett’s booking for Graff, who won both his two-year-old starts for Hugh Bowman (over the San Domenico course on April 2 in a 2YO Maiden) and Kerrin McEvoy (1300m Clarendon Stakes at Hawkesbury’s metropolitan stand-alone fixture on April 28). Graff trialled strongly at Gosford on August 6 when narrowly beaten by Wyong Magic Millions winner Jonker (a San Domenico rival) over 800m, and his trainer says he is ready to return to the races. “I’m very happy with his progress, and Saturday’s race will be a nice starting point for him,” Lees said. The $200,000 Group 2 Run To The Rose (1200m) will be run at Rosehill on September 8 and the 1400m Golden Rose there a fortnight later. Lees also is pursuing a Golden Rose mission with another unbeaten three-year-old Gem Song, who pleased him in a Beaumont barrier trial yesterday. With Aaron Bullock aboard, the Your Song colt finished second to the year older Sneaky Fella (a Kembla Grange winner last September at his only start) in a 1000m Open heat in 1.01.68 (last 600m in 34.02s). The rail was 4m out and, after making the home turn wide, he was warming to his task over the closing stages. 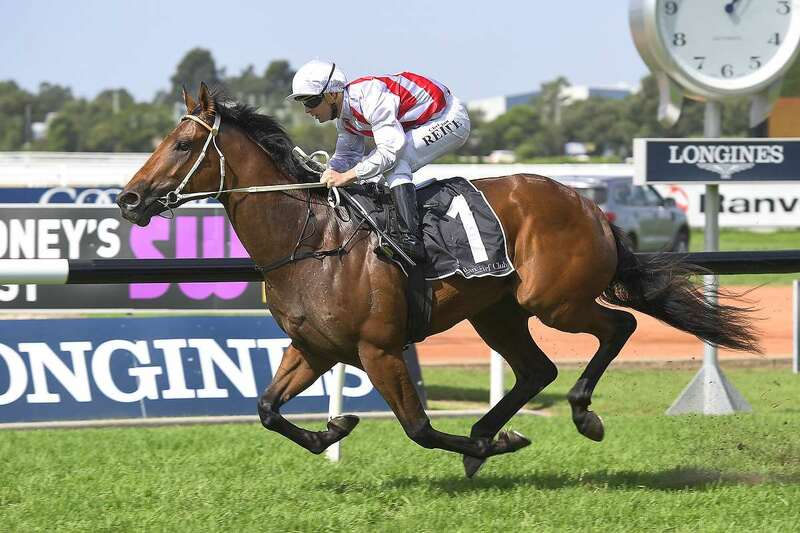 Gem Song on debut scored over 1200m in midweek company at Warwick Farm on April 11 then graduated to Saturday company with an 1100m Rosehill victory on May 5. Collett rode him on both occasions: “Gem Song will go to the Run To The Rose and then the Golden Rose,” Lees said. Triple Group 1 winner Le Romain has pulled up well after his impressive return in last Saturday’s Group 3 Show County Quality (1200m) at Royal Randwick. He will run next in either the $200,000 Group 2 Tramway Stakes (1400m) at Randwick on Saturday week or the $200,000 Group 2 Theo Marks Stakes (1300m) at Rosehill a week later. Under the set weights and penalties conditions of the Tramway, Le Romain would carry 59kg (2kg less than he had in the Show County). The Theo Marks is run under Quality conditions with a 61kg maximum topweight. Lees won three races on different tracks last Saturday. Apart from Le Romain, Dal Cielo notched a deserved success at the Gold Coast and lightly-raced three-year-old Reginae was impressive at Kembla Grange at only her third start. All Too Hard three-year-old Reginae, narrowly beaten at Canterbury in May at her only start last season, swept down the centre of the track to win a 1200m Kembla Maiden first-up and will be given the chance at Saturday company in town soon. “She has always shown ability, and could be a smokey for some of the better fillies’ race in spring if she keeps progressing,” Lees said.